Please click on the link below to start your online registration. Our organization needs volunteers all season long to continue the good work we are doing for our youth. Please consider some form of volunteering, which may include coaching, fundraising, concession stand services and much more. Check out our Volunteers page, under the About Us tab, today for opportunities! All coaches must visit this page to complete an annual background check. Monthly meetings are held on the 3rd Sunday of every month @ 6pm. At the Sheetz Reception Center (4 E. Main St. Rear, Mount Joy). 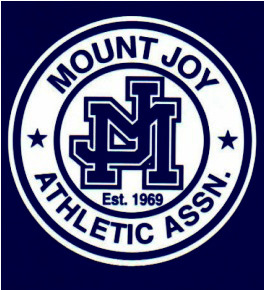 The Mount Joy Athletic Association has always provided your children with the safest possible environments to learn and play ball. As the season approaches, and we recruit new volunteers to help our organization, please rest assured that we are constantly striving to meet and exceed all PA State Laws to protect our children. Please see our Volunteers page for details. Let's be safe, and PLAY BALL...! We have instated a new position of Player Relations Coordinator beginning in the 2015 season. This position oversees any questions, comments, concerns, or issues that families may have with their child, and their team. Both positive and difficult responses are welcomed. We strive to resolve any issues, but we appreciate positive feedback as well. We will do our best to help meet the needs of the families in our organization.